At an Apple Event on September 12, 2017, Apple announced that wireless charging was coming to many of its devices including the iPhone 8 and iPhone X. Apple’s wireless charging system is called AirPower and can be used to charge all of your compatible devices. 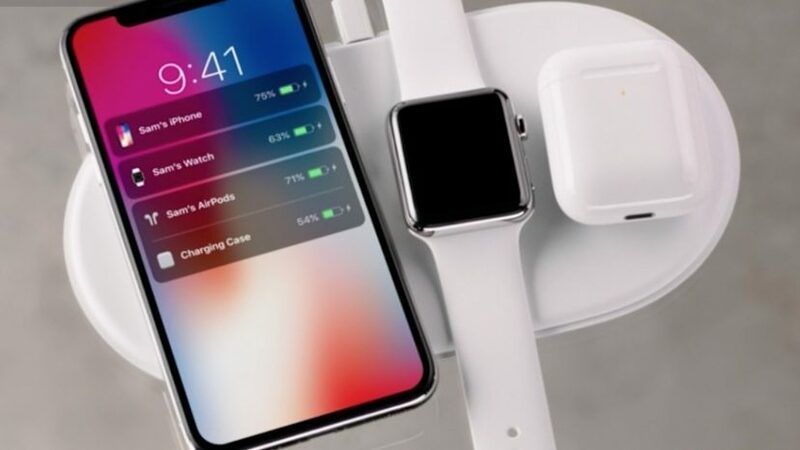 In this article, I’ll explain AirPower, a new technology that enables iPhone wireless charging. AirPower is the new wireless charging system for iPhone 8, iPhone X, Apple Watch Series 3, and AirPods with the wireless charging case. AirPower works by charging your devices when you place them on the thin AirPower mat. You can simultaneously charge three of your AirPower compatible devices and they can be placed anywhere on the mat. Which Apple Devices Work With AirPower? AirPower will not be released until 2018. In the meantime, you can wirelessly charge your iPhone 8, iPhone 8 Plus, or iPhone X using a Qi wireless charger. Mophie and Belkin have also designed new wireless chargers specifically for the iPhone X. We hope this article helped you understand AirPower and how you can use it to wirelessly charge your iPhone and other Apple devices. We look forward to hearing your thoughts about wireless charging in the comments section below, and don’t forget to share this article with your friends and family on social media! Previous ArticleIs The iPhone X Waterproof? Here’s The Truth! Next Article Buy iPhone 8: Verizon, T-Mobile, Sprint, & AT&T | Best Deals On iPhone 8 & 8 Plus!